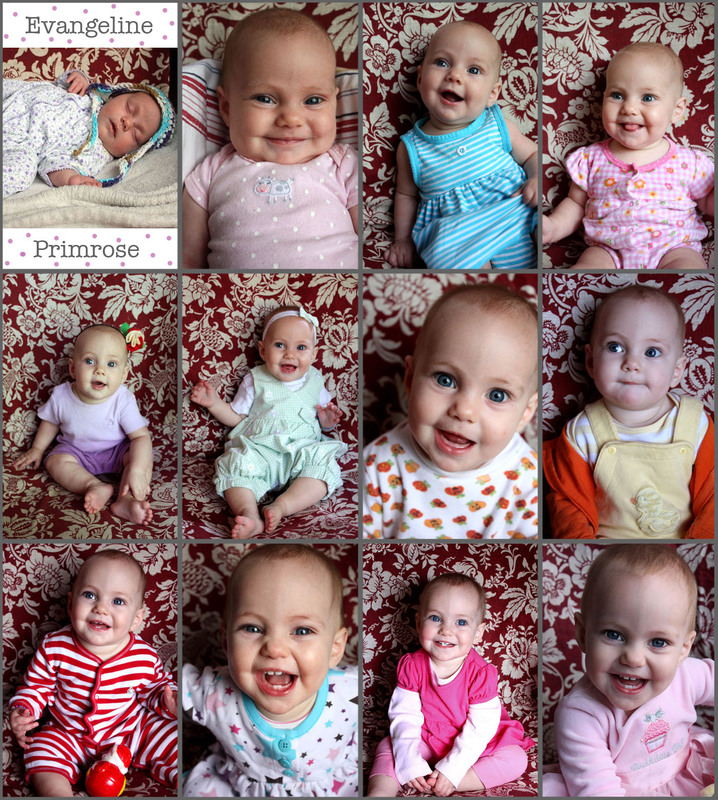 I took a photo of Evangeline on or around the 19th every month for her entire year. She sat in the same rocking chair each time. I have never done this type of project before! I take oodles of photos of our girls but I have never done a planned baby's first year, month-to-month project like this. I arranged my favorite photos from each month in a collage, added her name and some pink polka dots, lined each with a grey grid and... voila! Cute photo project complete! 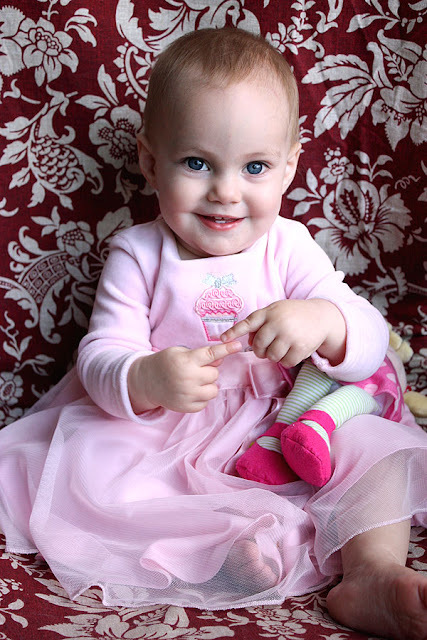 Also, I just had to add this photo of Evangeline during her one year photo session! One of the girls said "More!" to indicate that I wanted to take more photos of her. She looked right at me and signed "More!" Our sign for more is "tapping two index fingers together". She is quite the smarty pants!